I am different from other bloggers. Smarter, faster, stronger, sure, but also just a true intellectual. Other bloggers trot out their word on january 1, and never think of it again. But my word is more important than that to me. 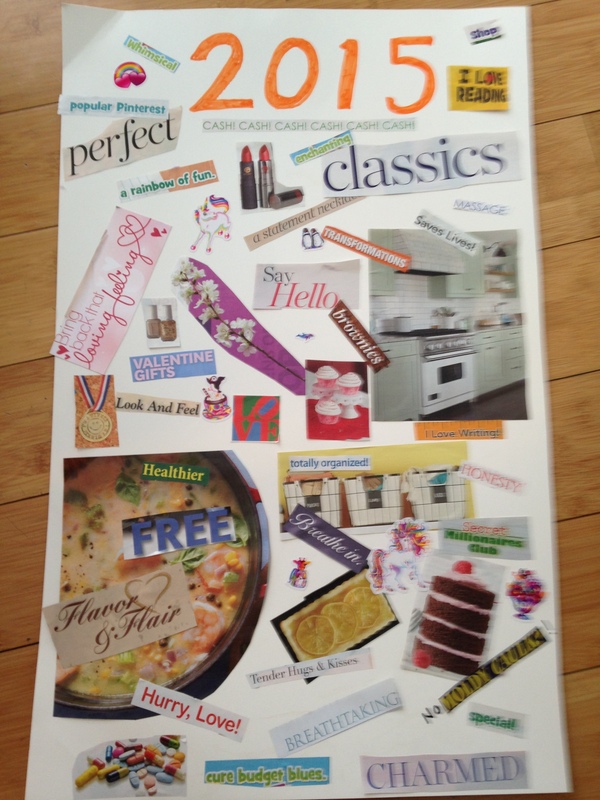 In trying to decide what my word for 2015 will be, I created a vision board for the year. I put some “stuff” on it; more makeup, an unicorn for Starling, a statement necklace, but mostly it is about how i want to BE this year. More centered, more at peace and wealthier. Make your own vision board! It is a great centering exercise. i wish I’d had room for some pictures of meeeee! I couldn’t really express what my word for 2015 in only one word, so I am doing it as a a phrase. This entry was posted in Uncategorized on January 27, 2015 by mythreeangles. You really are inspiring LahLee!!! Thank you. I try to inspire people wherever I go. You inspire me because people who love me inspire me! You love me, right? Oh yes…I do love you LahLee. You make me laugh so much that sometimes I snort my coffee onto the keyboard! You’re my virtual BFF! We are virtual BFFs! What should we wear tomorrow? I want to wear yoga pants and a sparkle tunic. I’ve been lurking here for a few months, I learned about your truly brilliant blog from some experts at RBD. I have learned a lot already about how to be a better wife and mother! So glad that you are blogging! I know that you don’t have to cook much since you have so many talented chefs in the family, but could you share any recipes of meals that other people cook? Especially pretty photos? Of course I would love to share some of my gourmet tips with you. I don’t know why you don’t think I cook much. I often supervise the children in the kitchen and I make coffee almost every day. Do you know about Keurig?